It is always important to know or to do simple research before you go for this hair extension .If you made one mistake ,you might mess your hair which means you might mess your personality .So ,be sure you are well-prepared before you go for this hair extension. Getting you some long hair is trending these last years. If you look at those hot Hollywood actress ,you can see them flaunting with those hot and thick long hair they have. Don’t you wish you had those dense and long hairs for yourself-perhaps you wish you had! Now sometimes when you don’t get things naturally you can also get them artificially –Thanks to Science and Technology. Well, most of people do not know anything about these hair extensions and they happen to be victim of several false acclamation made by the users or someone who is trying to make you not to use it. Obviously, like everything, here are few things that ,perhaps ,as a customer of the Hair extension styling ,you should be knowing before getting your hair extension service. Let us deal with this topic for a while. There are few different types of hair extension available in the fashion world. Now you just do not go to the parlor and ask for the hair extension directly without getting yourself prepared with what sort of extension you rather want. Whether you want the taped extension or glued extension or you want to follow the keratin –used extension, you should be rather clear about it before you go for an extension of hair. Now hair extension sounds easy but ,my friend ,it does take time .Your hair needs some heating stuff and it also needs some cutting and treatments before you prepare for hair extension. The actual time you might need to spend depends on how much hair you want extension in .If you are looking for full-head extension perhaps taking whole day off might be the right choice. Remember the way you brush your hair might have strong impact on the hair extension quality so be sure ,you know the right way . While you are adding some stylist products to your hair –perhaps the wet one be sure you blow your hair first after extension and then follow brushing your hair locks. Now as it’s already informed why brushing is important .Apart from that you also need to choose the right kind of brush. Wrong brushes might destroy your newly made locks of hair. There are definitely lots of extension expert who are there in the market .It is all your decision as to choose whom for your service. Be sure that if a single mistake is made, it can destroy your look. So perhaps always try to make the right decision on choosing whom you want to serve you. 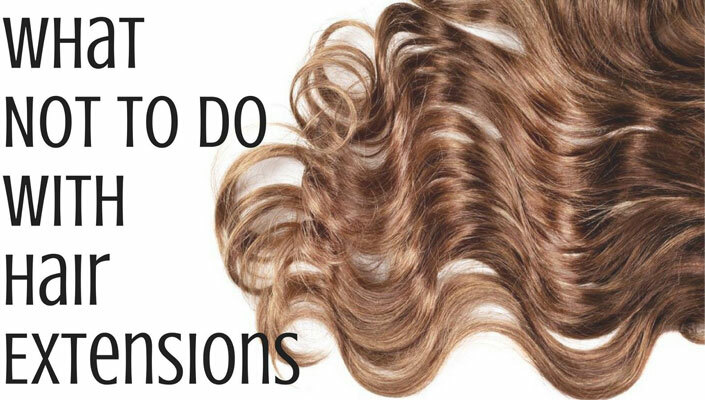 So hurry up and choose the right hair extension and get your hair extension in the easy and correct ways.